A healthcare power of attorney is able to help arrange your medical care or make healthcare decisions for you when you are unable to do so yourself. As long as you are able to talk to the doctor yourself, then you will still decide your care. But if you can’t make decisions, someone else will have to help decide what type of treatment or surgery you need, what prescriptions to get, where you will live, and even when to disconnect medical machines if you are being kept alive artificially. Your healthcare POA agent is legally bound to follow your healthcare preferences to the extent that they are aware of them. Your healthcare preferences should be made explicit through a conversation with your healthcare agent. You can also name a power of attorney for property. This person is responsible for decisions regarding your finances and assets. You can give this person as much or as little control as you like. They can be responsible for tasks like depositing checks, filing your taxes, managing your investments, or selling your property. Your financial POA agent can also hire accountants, attorneys, or financial advisors to help you and pay them through your accounts. The agent is legally bound to act in your best interest, doing only things that are best for you under your circumstances. They usually have access to handle your assets until your death or until you change your power of attorney document. You may have heard of something called a durable power of attorney. In Illinois, every power of attorney is durable unless you specifically choose otherwise. So what does that mean? It means that if you get sick, the power of attorney is still valid and the agent you named can take action on your behalf. If it was not durable, then the power of attorney would expire after you got sick. Generally, you want powers of attorney to be durable because it is not helpful for them to expire when we need them most. Also, keep in mind that the authority of your power of attorney ends at your death. The power of attorney is used to help someone act on your behalf while you are alive but unable to handle things yourself. Once you pass away, the power of attorney is no longer valid to take action. Instead your executor (or successor trustee) will take over and handle the after-death issues for your family. What Happens if You Don’t Have a POA in Place and You Need One? What happens if you never get around to signing a power of attorney, and you suddenly have a stroke and are not able to make decisions? Without a power of attorney, your family will have to ask a judge to name a guardian for you. This is a time consuming and expensive process that requires a doctor’s report, court filings, and official legal steps. In the long-run, choosing to appoint a trustworthy power of attorney agent is a decision that will help protect your finances, your healthcare preferences, and even peace within your own family. Deciding about a POA ahead of time can help your family through emotionally draining decisions if you become incapacitated. Because of the importance of this document, it is a good idea to review your POA every couple years with your attorney. Creating an effective power of attorney document takes special care and attention, but is well worth it. If you would like to revisit your POA, you should schedule an appointment with your attorney. The Checkbook Test: Can Your Executor, POA, or Trustee Pass the Test? If you’re ready to get your POAs in place, please give us a call at 217-726-9200 to set up an Initial Meeting. Some people get nervous when they think about signing a Power of Attorney. Maybe they saw a movie where a guy was swindled out of a fortune when he signed one. Maybe giving someone control over your affairs is unsettling to you. Whatever the case may be, Powers of Attorney (POAs) can seem intimidating. In our experience, most people don’t have a problem signing a POA and find them immensely helpful during difficult times. POAs are simply tools you can use for your benefit. The circumstances surrounding them are rarely as dramatic as in the movies. In fact, they can be quite mundane. For instance, if you were to sell your house but were scheduled to be out of town on the day of the closing, you could give your real estate agent power of attorney. That way you don’t have to spend hours traveling just to sit in an office and sign on a couple dotted lines. Around here, we commonly use POAs as tools to help people remain in control longer – a tool to help friends and loved ones make decisions on your behalf when you are no longer able to do so yourself. 1. POAs are voluntary. A person can revoke or change them at any time. 2. POAs should be prepared BEFORE you need them. If you suddenly get very ill, you may not have time to get a POA done before it’s too late. Once you are unable to communicate, it’s too late to sign a POA. 3. POAs cease upon death. The person you name as Power of Attorney will no longer be able to make decisions or act on your behalf after you pass away unless they are named executor or trustee. Either way, the role of POA ceases and other roles step in. 4. POAs must be kept current. Life insurance companies, banks, and investment companies are very particular about POAs. Hopefully you’re a bit more comfortable with the idea of using POAs. It’s not just a tool for you — it’s a benefit for your loved ones as well. If you’re incapacitated and you haven’t named someone Power of Attorney, your spouse and/or children will have a difficult time making legal and financial decisions for you. They may have to go through an expensive, intrusive guardianship proceeding. So it’s a good idea to have POAs signed in preparation for these kinds of unexpected events. Use POAs wisely, sign them when you’re fully mentally and physically capable, and give them to people you trust. They’re an excellent tool to protect you and make your loved ones’ lives easier during a difficult time. If you have questions about POAs or would like to create one as part of an effective plan, give us a call at 217-726-9200. What Is a Power of Attorney? Why Might You Need One? Think of all the decisions you make in a week or a month — how much money you spend, or save, whether you get your car fixed, whether you go to the doctor if you aren’t feeling well. What will happen if you can’t make those decisions for yourself? Someone will have to make them for you. A power of attorney (POA) helps your family navigate these difficult times. A power of attorney is a legal document that gives someone authority to act on your behalf. By using the power of attorney, someone you trust can help carry out your wishes. This person is called an agent, and the power of attorney legally appoints that trustworthy and responsible person you’ve chosen to have the authority to make financial or medical decisions on your behalf. Your agent will have access to your money and property, so you want to be sure to choose a person who has your best interests in mind. (Click here for a quick test to see if your helper is likely to be a good one.) Your POA agent cannot spend your money on themselves, but they do have the authority to spend your money or even sell your house or other property, if that is best for you. It is important to always keep in mind that a POA can be easily abused. Before you appoint your POA agent, it is a good idea to know what they can and cannot do for you. What’s the Difference Between a DNR and a POA? http://edwardsgroupllc.com/wp-content/uploads/2017/07/power-of-attorney.jpg 467 700 edwardsadmin http://edwardsgroupllc.com/wp-content/uploads/2014/02/USE-Logo-estate-planning-280x100.png edwardsadmin2018-01-10 14:48:182018-01-10 14:48:18What Is a Power of Attorney? Why Might You Need One? Completing a Power of Attorney document is one of the most impactful things you can do to lessen the burden of caregiving on your family and loved ones. Power of Attorney documents are not crafted as “one size fits all” but instead are customized to reflect the varying needs of each individual family situation. Investing in an attorney to help you draft your POA document can help you better understand the terms of the document and minimize mistakes. Answering one question incorrectly on your POA document can lead to many problems in the future — problems that can be costly and emotionally taxing for you and your loved ones. 1. 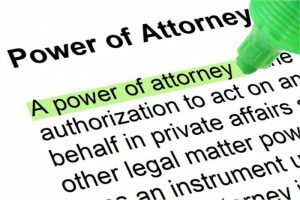 Too Many Powers – One problem with creating a POA document yourself is the possibility of giving your power of attorney too much power. While the form looks relatively simply, it is easy to answer a question incorrectly without a lawyer’s expertise and guidance. You could give your POA agent too many powers and open the gateway to elder abuse. Whenever you see a newspaper article about an older person being taken advantage of, it’s often the result of abusing a power of attorney. Powers of attorney can be easily abused because they are not monitored by the legal system. Templates are easily available online and anyone can serve as a witness or notary, even if they don’t have your best interests in mind. Paying for the legal expertise is worth the security that comes from knowing your POA agent has the correct powers. Attorneys are ethically sworn to serve the best interests of their clients and can help you avoid elder abuse by assisting you in selecting a trustworthy power of attorney agent. Nominating a power of attorney (when done correctly) should give you peace of mind, not make you nervous. 2. Too Few Powers – Sometimes a person has a POA agent who is 100% trustworthy, but their powers listed in the document are so limited that they are unable to do the things that would be best. We have seen a number of families who were working on long-term care planning, hoping to seek benefits to pay for nursing home care. However, their power of attorney did not include certain powers that would have been helpful in that situation. For instance, unless we specifically state them, a power of attorney does not include the power to create a trust (which is a valuable tool often used for effective planning), or the power to make gifts to family. Yet, creating trusts and making gifts are often important parts of protecting money from a nursing home towards the end of life. 3. Not The Form You Need – If a power of attorney document is created without a lawyer, there is no guarantee that all banks or institutions will accept it. There have been a couple of law changes in Illinois in the last few years regarding powers of attorney. If you find an online document, is it the correct and most up to date form? If not, the bank may refuse to honor it, and they are within their rights to do so if it is not in the proper format. As with so many things related to estate planning, every family and every situation create unique circumstances that fill-in-the-blank forms cannot adequately address. It is incredibly valuable to the have the help of an experienced estate planning or elder law attorney to help guide you through the process while anticipating problems your unique situation may bring up. If you have questions about Powers of Attorney or any other estate planning/elder law issues, we urge you to give us a call at 217-726-9200. We’re more than happy to speak with you. A recent National Institutes of Health study showed a decrease in decision-making skills between the ages of 56-85. We also know, statistically, that if you reach the age of 65 you will, on average, live 19.2 more years. Therefore, many of us will need help with complicated financial decisions that occur in the last few decades of life. A Power of Attorney for finances will allow someone to help you pay bills, manage your investments and make financial decisions. This may sound very scary, but we help our clients make good choices about financial POAs on a daily basis. That’s why you see the word “Counselor” in our name. As you age, you may want input from others about your healthcare. We all know how complicated the medical care world is to navigate these days. • Medical treatments – like chemo and radiation if you’re diagnosed with cancer. Sadly, doctors and nurses can’t always be relied upon to recommend the best course of action. It can be extremely helpful to have someone else listening to the options, the pros and cons, and then helping you make sense of the process. • Surgery – whether it’s really needed or not. • End of life decisions – do you want to be hooked up to machines? Do you want to spend your last days at home if at all possible? • Where to live – should I downsize, stay put (age in place) or is there another alternative? • How to get the best care – marketers are very savvy and they know that seniors are an easy target. It would be very helpful to have someone who can help you weed through all the “flash” of advertisements and get down to the real useful information so you can make informed choices. • When to sign a “Do Not Resuscitate” order. We help families choose good helpers everyday. This is a difficult decision and one of the most important you’ll ever make. You don’t have to do it alone. We can guide you through the process of deciding who is best. While you’ll only do this once in your lifetime (maybe twice), we’ve helped hundreds of families since 2008. In that time, our firm has been solely dedicated to estate planning and elder law. We’ve seen A LOT and gained a lot of wisdom from the families we help on a daily basis. We can help you know what to do and what NOT to do. Give us a call at 217-726-9200 and plan to attend an upcoming workshop today. Attending a workshop makes the planning process easier and more effective all around! The greatest threat to an effective estate plan is not taking any action at all, so take your first step today and call us at 217-726-9200 to schedule an Initial Meeting or come to a workshop. Naming a helper for your plan is one of the most important decisions you’ll ever have to make, but you don’t have to do it alone. Read on for guidance in choosing your executor, trustee or power of attorney. Every plan needs a good helper. We talk about it ALL the time because it’s vitally important. Everyone will come to a point in their life where they will need some sort of helper, whether that be a power of attorney, a trustee or an executor. About two years ago we created a paper newsletter with expanded information on choosing good helpers. Even now, we still use it because it’s full of great information. If you’d like a copy of our paper newsletter on choosing good helpers, you can get instant access to it by clicking this link. But if you’d prefer, you can call us at 217-726-9200 and ask us to mail you a copy. So, what’s the secret test for a named helper? How can you know if you can’t trust a potential helper to make decisions for you when you can’t make decisions yourself? The secret test of a helper is to look at them and see how they handle their own lives now. Do they have things “under control”? Do they make wise decisions? Are they handling their own money well? Are they generous and kind? People will generally handle your money worse than they handle their own. They will generally be more difficult to deal with in serving as your helper than they are in dealing with their own lives. This is just the cold, hard truth that we’ve seen over and over. Being a helper is stressful (especially since if often happens after a crisis or death), and the stress leads people to act worse than they normally do. So, however they’re handling things now, they’ll actually do a worse job after you’re gone. Does that give you cause for concern? If so, you should pick a different helper. As you think about someone to be a helper, consider these duties they will possibly help with. And learn more about “7 Types of Helpers to Watch Out For” here. We help families choose good helpers everyday. This is a difficult decision and one of the most important you’ll ever make. You don’t have to do it alone. We can guide you through the process of deciding who is best. While you’ll only do this once in your lifetime (maybe twice), we’ve helped hundreds of families in the seven years our firm has been solely dedicated to estate planning and elder law. We’ve seen A LOT and gained a lot of wisdom from the families we help on a daily basis. We can help you know what to do and what NOT to do. The greatest threat to an effective estate plan is not taking any action at all, so take your first step today and call us at 217-726-9200 to schedule your Initial Meeting. In a previous post, we talked about a growing segment of people who are aging alone without the help of their adult children (either because they don’t have children or their children live very far away). These seniors face unique challenges in their 70’s and 80’s. To read about those four challenges, click here. With proper planning, guided by an experienced elder law attorney who has faced these issues many times before, you can achieve peace of mind and have a plan in place if you do not have close family nearby. 1. Make a plan while you are still sharp (physically and mentally). A study by the National Institutes of Health found decreased cognition and decision-making impairment begin around the age of 60. Research has also shown that the ability to make sound investment decisions sharply declines at 70. Because of this, it’s important to plan ahead. 2. Make sure your plan is a comprehensive plan and not just a will. An effective Life Care Plan should include documents like Powers of Attorney (for health and finances), advanced directives for end of life medical issues, etc. It should also address questions such as how will you pay for long-term care, how do you want care decisions to be made, and do you want to stay at home if at all possible? 3. Set up structures to protect yourself. 4. Be open to changing your living arrangements. If you’re willing to alter your living arrangements earlier on, then you’ll be able to make changes on your own terms, deciding what’s most important to you. If you wait until crisis strikes, others may have to dictate where you go, or your medical issues may dictate where you have to live. If you start to become isolated in your house, having difficulty taking medicine or eating properly, there needs to be a fail-safe in place so that you don’t suffer and linger too long in the house on your own. 5. Create a plan with ongoing maintenance. In the last few decades of life things can change rapidly. That’s why a plan with ongoing maintenance is especially helpful. Crafting a flexible plan, through an attorney you trust, insures that adjustments can be made as circumstances change. 6. Gather a list of contacts who can help you. Identify what tasks you need help with (cooking, cleaning, yard work, etc.) and then match the tasks with people (friends, neighbors, nieces, nephews, church members) who might be able to help you with those specific jobs. 7. Find local resources to help. There are several good resources that can help seniors, or their distant children, get the help they need. Aging is not something any of us wants to think about, but by thinking and planning ahead, you can save yourself a lot of grief, stress, dignity and money. If you are facing the prospect of aging alone and are concerned that you don’t have an adequate plan in place, don’t hesitate to give our Elder Care Advisors a call at 217-726-9200. We are always happy to help in anyway that we can!